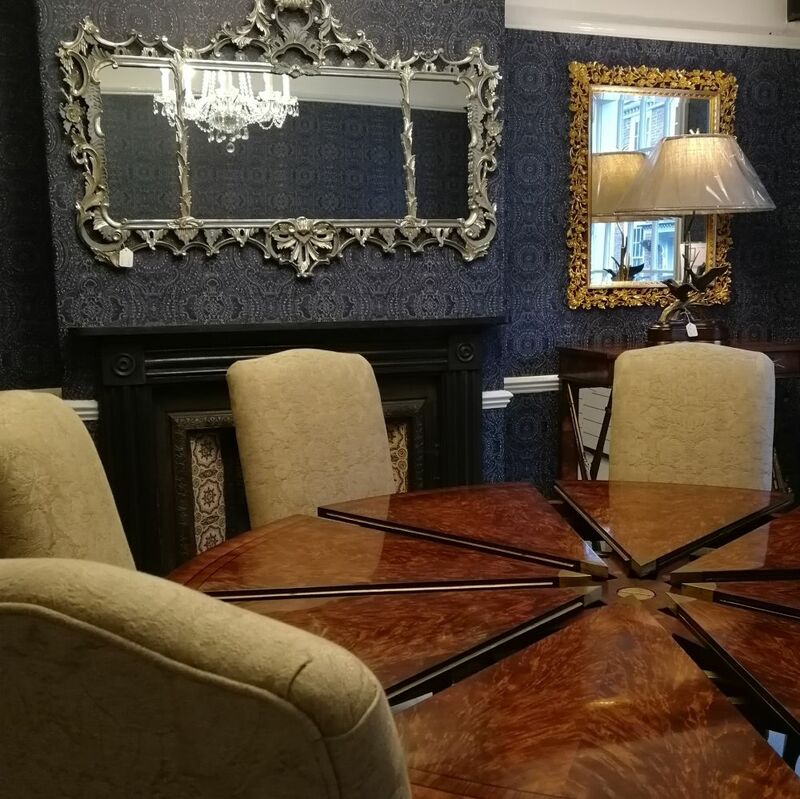 Complimentary transport is available to the Nettlebed showrooms from rail stations, London airports, hotels and residences. 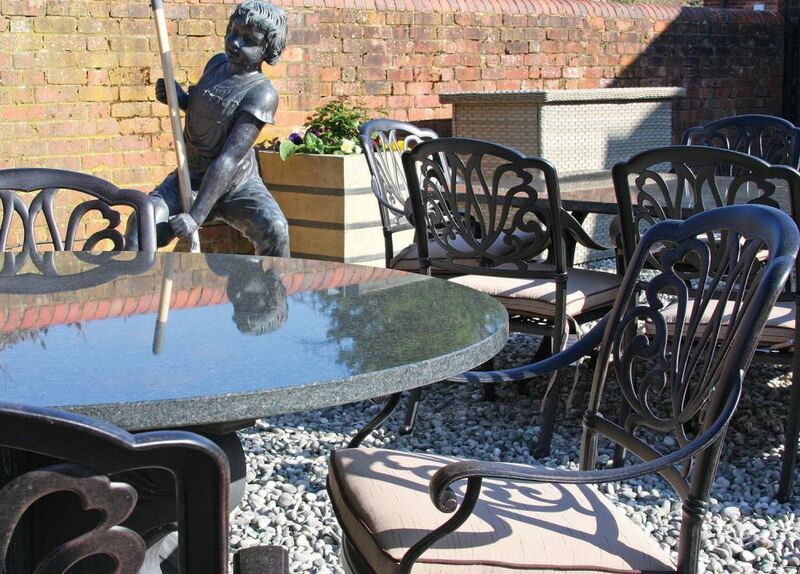 To book, call 01491 641115. 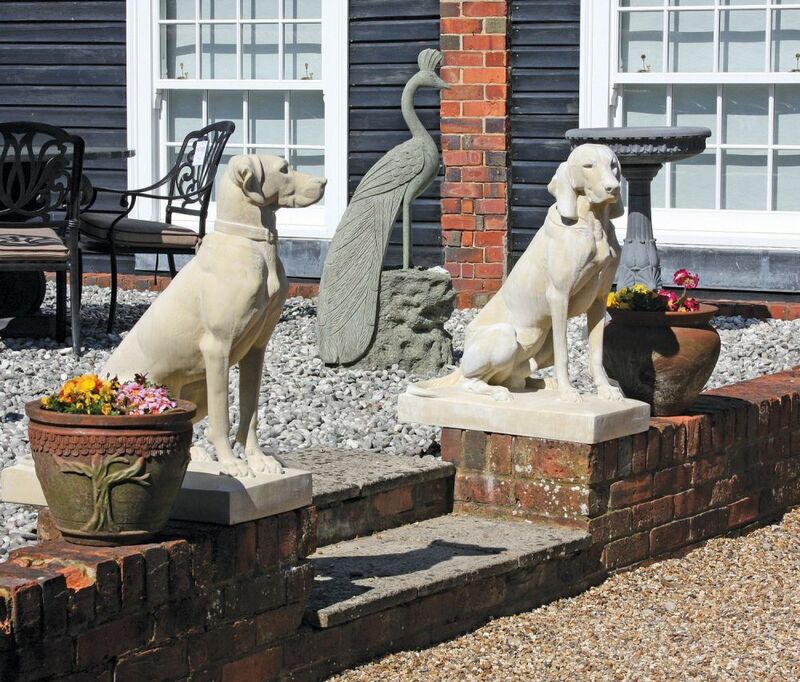 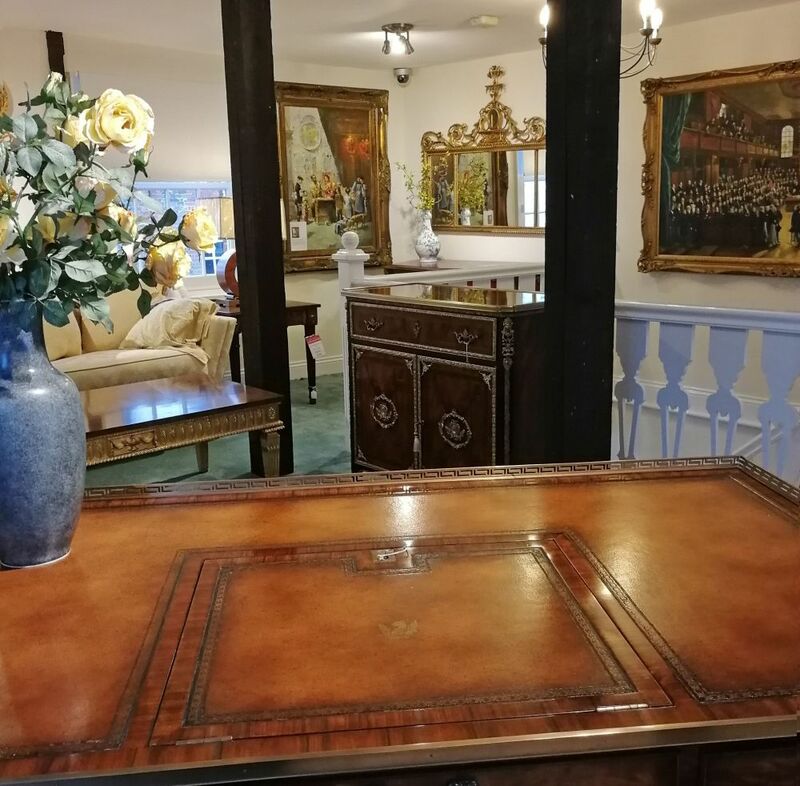 Our flagship showrooms are in the traditional English village of Nettlebed, which is situated just outside Henley on Thames. 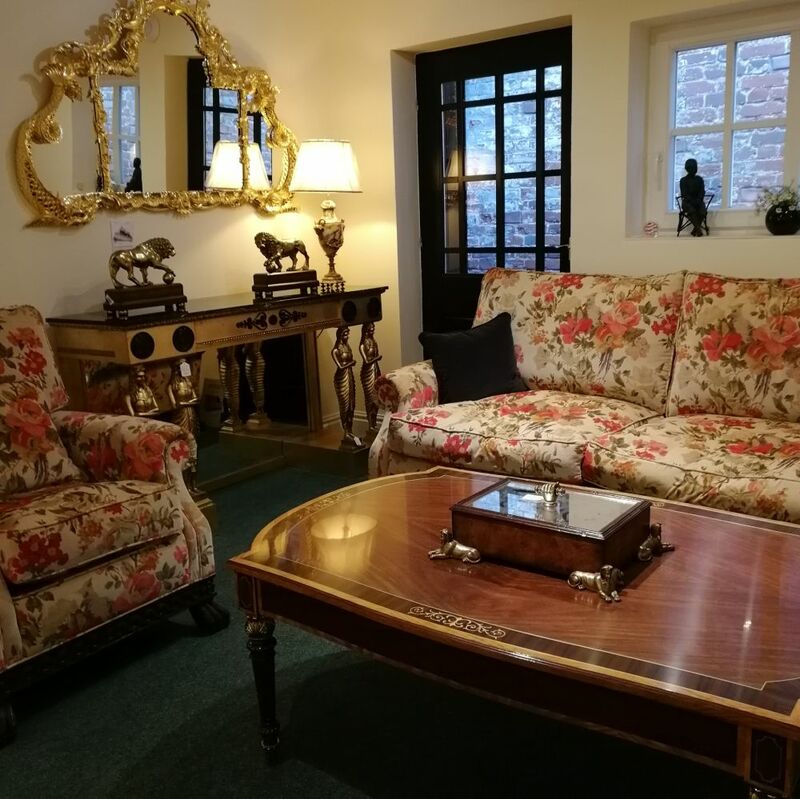 Here we have showcased the largest stock collection of antique style reproduction furniture and traditional sofas in Oxfordshire. 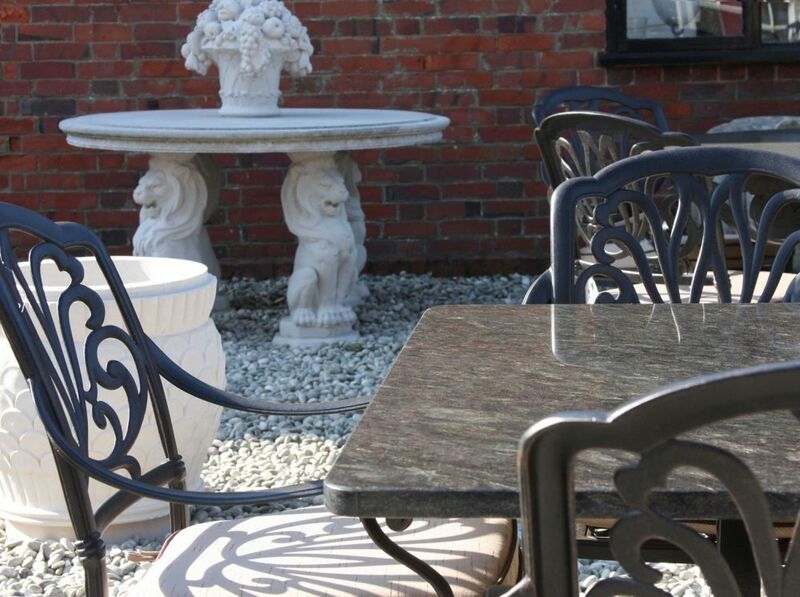 These are our original showrooms, and we have been based here for nearly forty years. 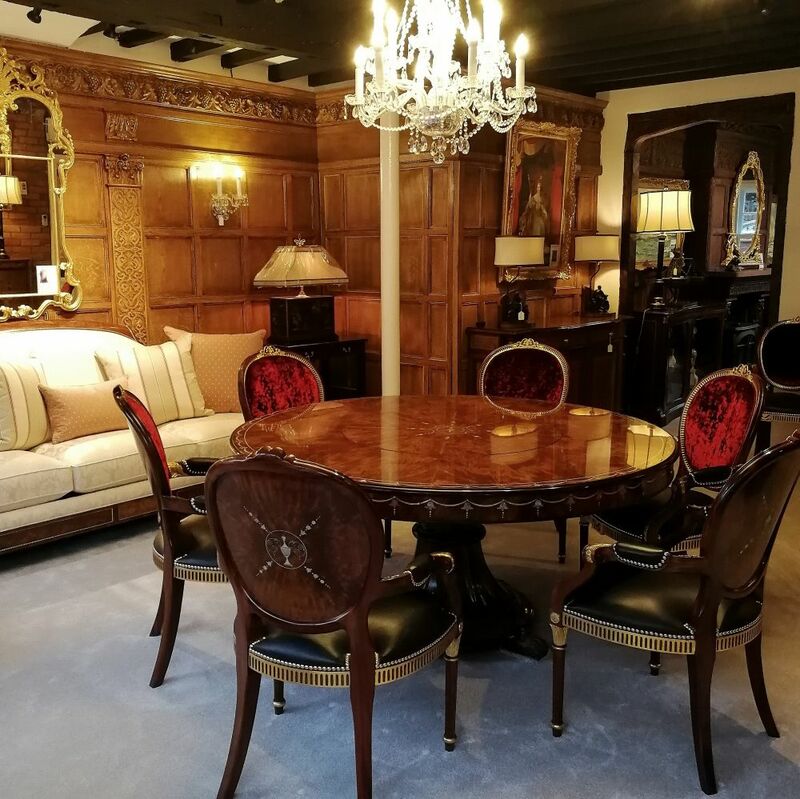 The showrooms comprise of over thirty six rooms of replica furniture, all set out in attractive and inspirational room displays. 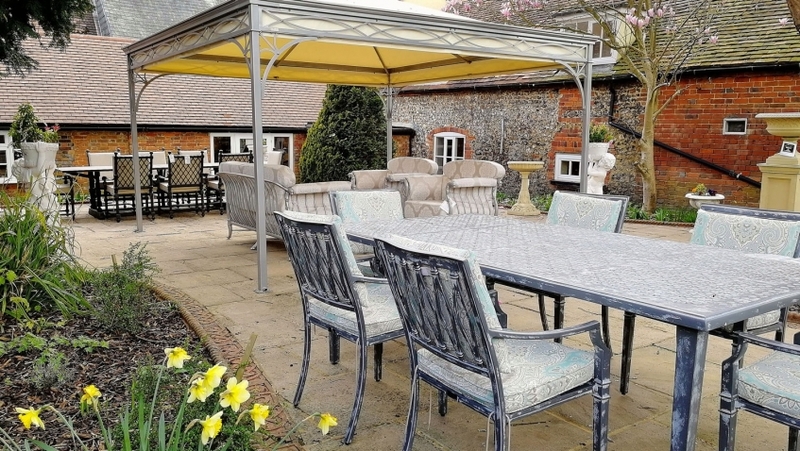 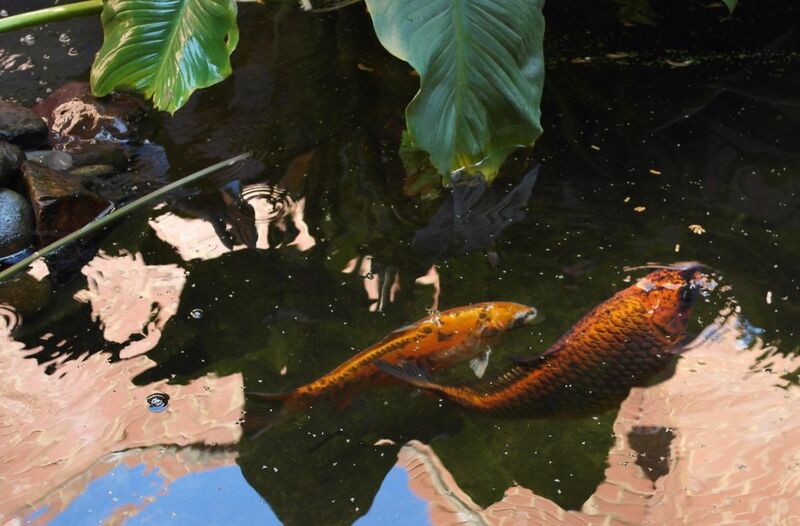 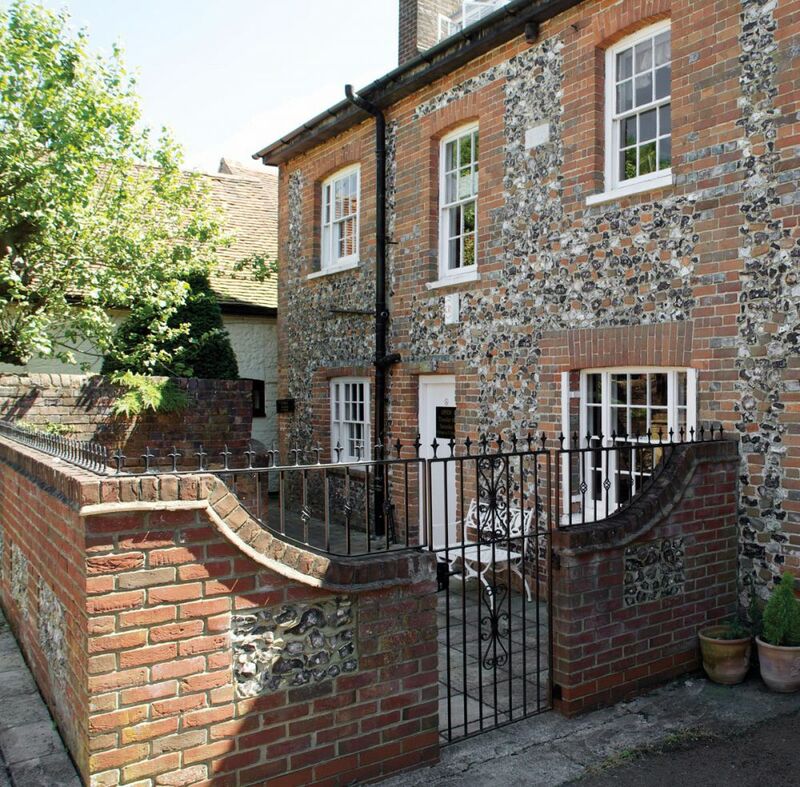 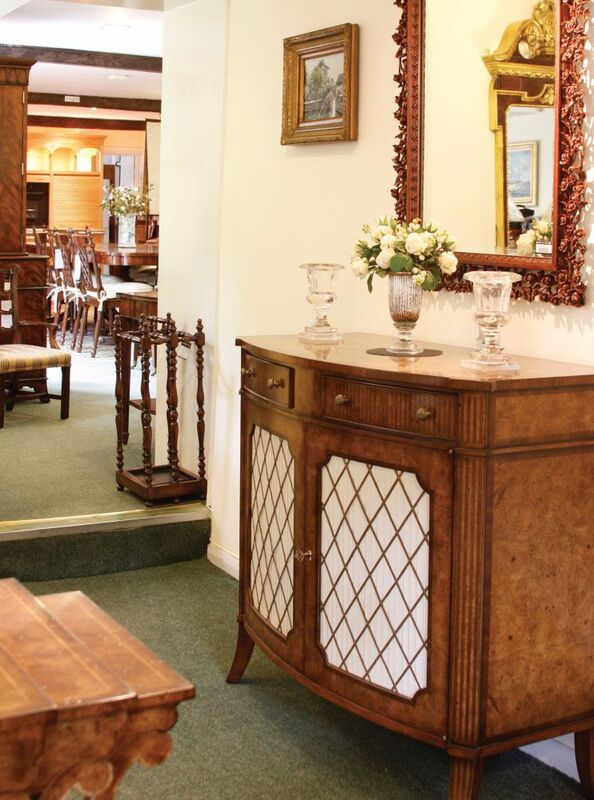 Our showrooms are arranged between four attractive period properties. 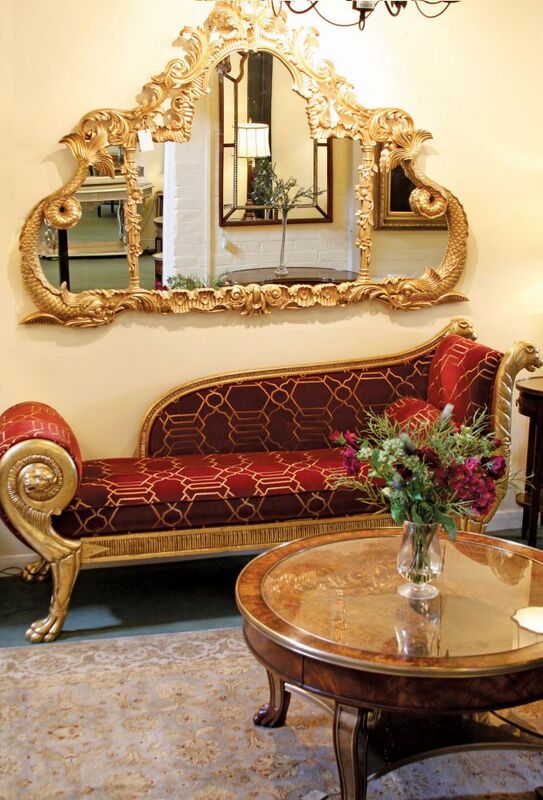 Facing the street, there is one Georgian period private residence where we showcase the majority of our Georgian and Regency style mahogany and walnut reproduction furniture. 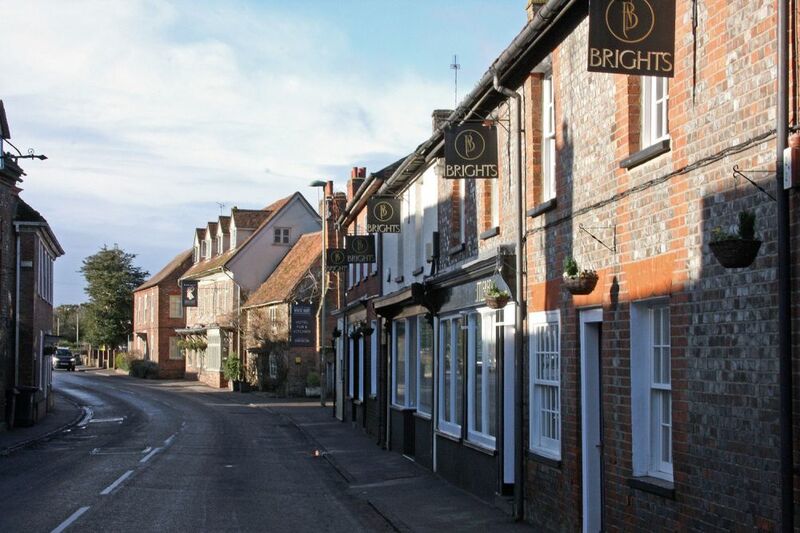 Adjoining this building are two original village shops; one was the baker’s shop and the other the Army & Navy Stores. 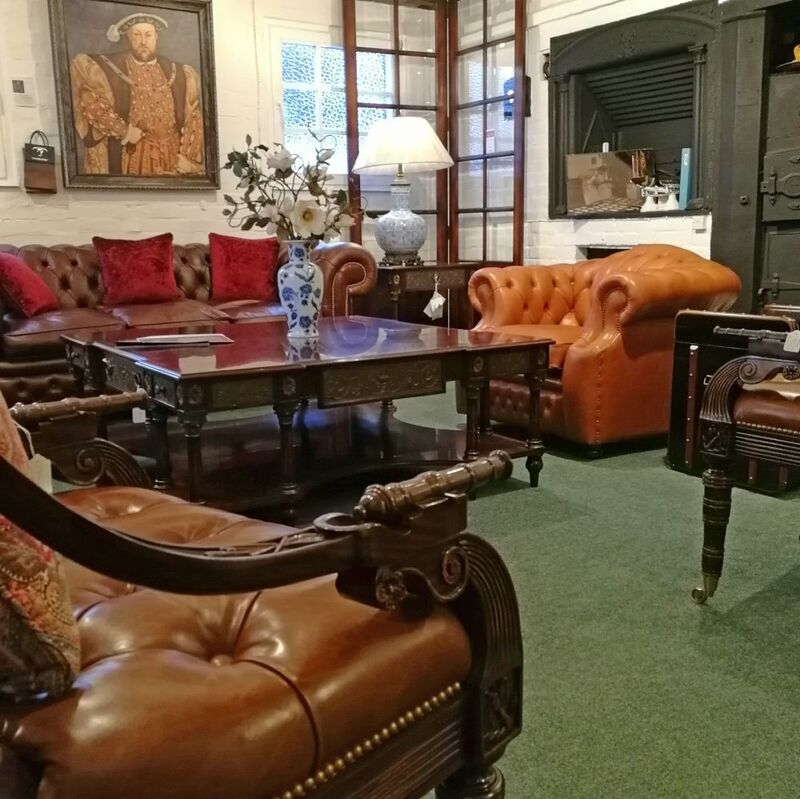 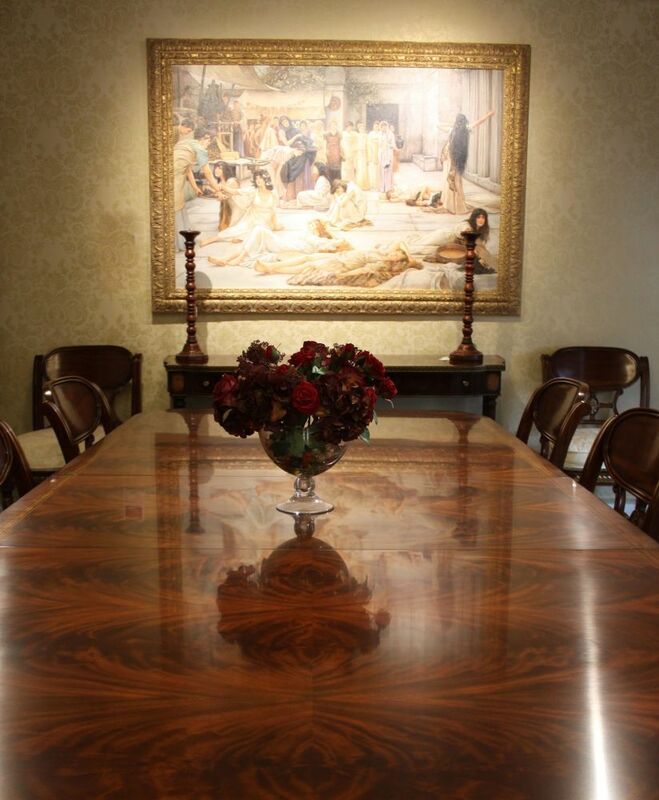 In these buildings, we have a mix of classical reproduction furniture and traditional English sofas and chairs. 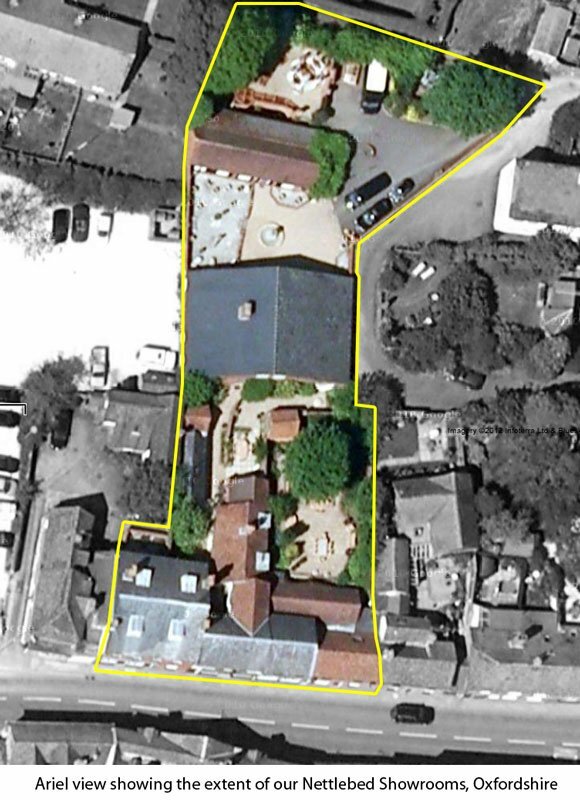 At the back of the showrooms are another three buildings. 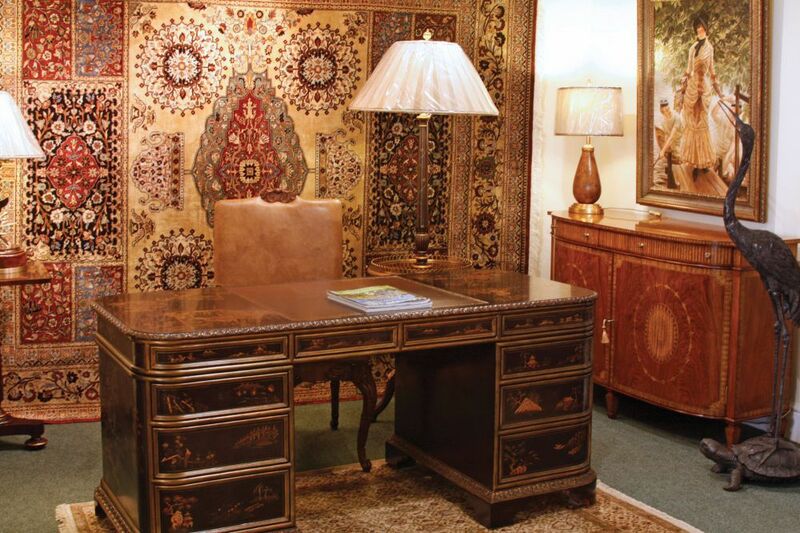 The first houses antique style office furnishings such as mahogany pedestal desks, bookcases and period style filing cabinets as well as a variety of leather upholstered swivel desk chairs. 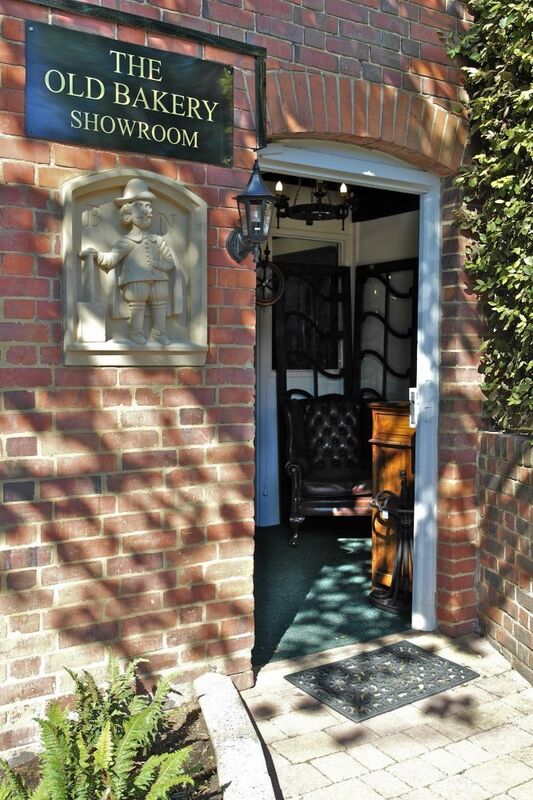 The second showroom in the gardens was the original town bakery, where the bread was baked to sell in the shop. 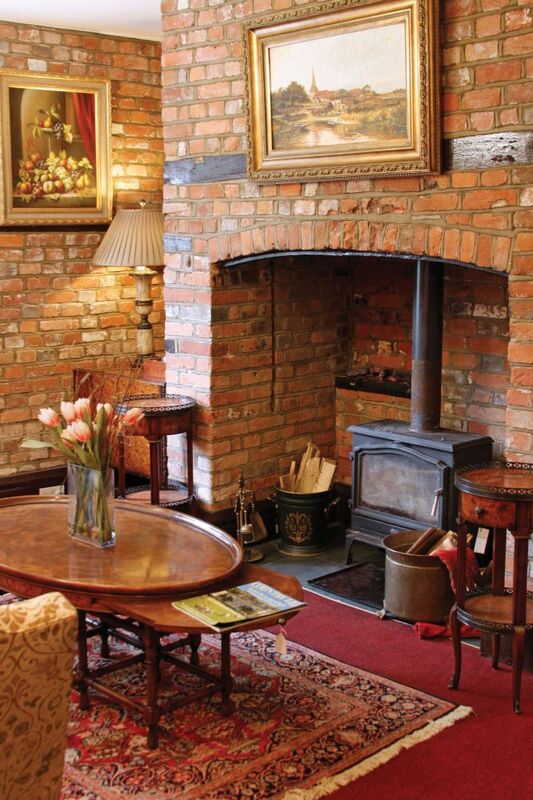 Visitors can still see the original oven in situ. 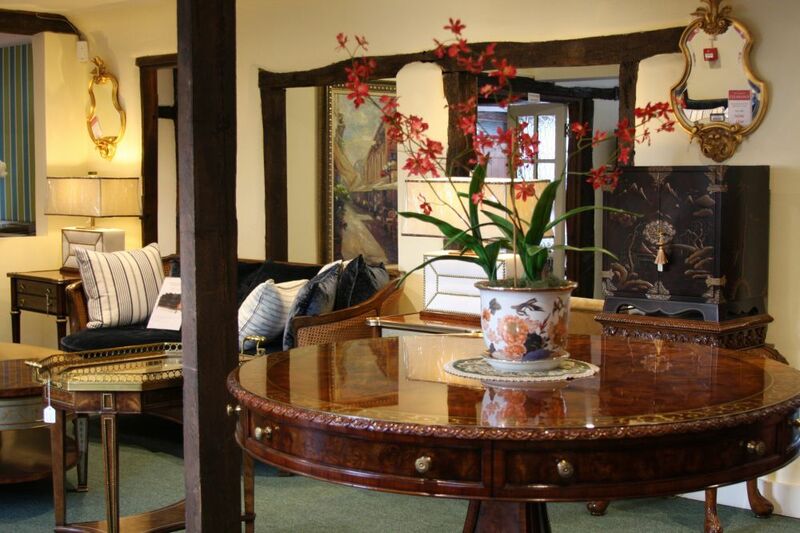 This building houses our collection of period style oak furniture, where we have a huge variety of stock including oak refectory dining tables, traditional glazed breakfront bookcases, sideboards, dining chairs as well as many pieces of oak occasional furniture displayed alongside period lamps, original hand painted oil paintings and solid mahogany hand carved gilt mirrors. 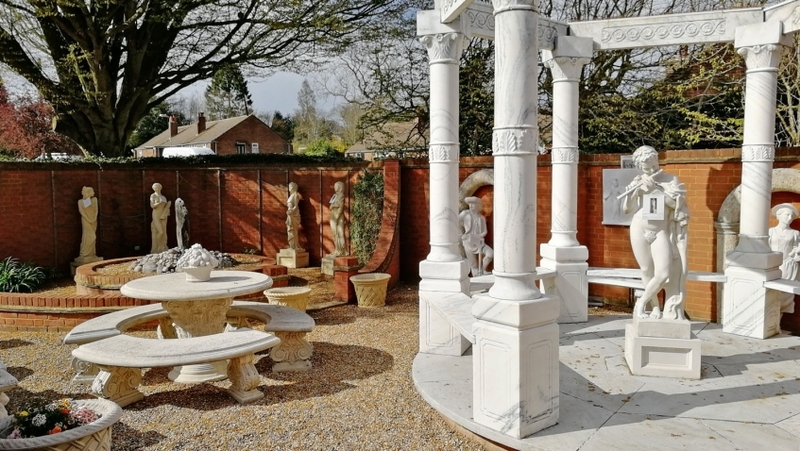 Through the garden again, where we have a display of traditional style carved marble garden features, is another small showroom where we have a display of traditional style mahogany dining furniture. 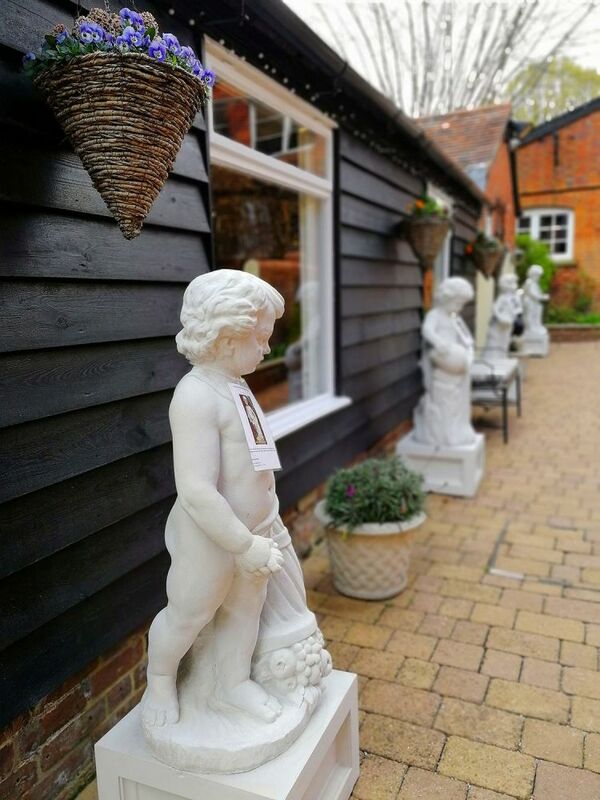 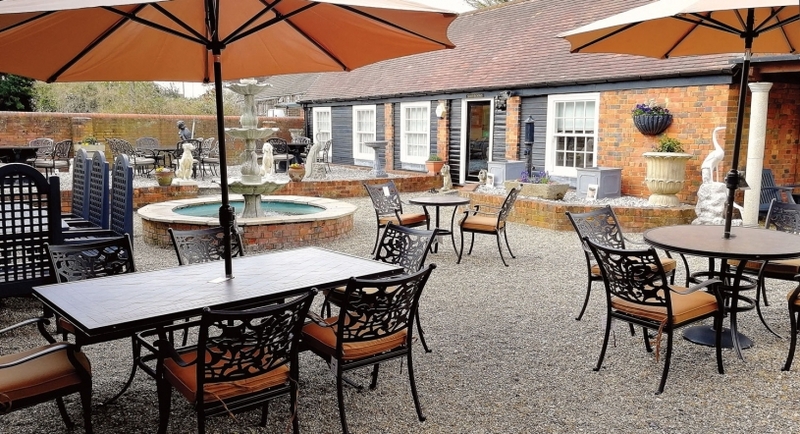 The Nettlebed showrooms are beautiful surroundings to spend a day in – there are a number of hotels and restaurants nearby for lunch, or an early evening meal. 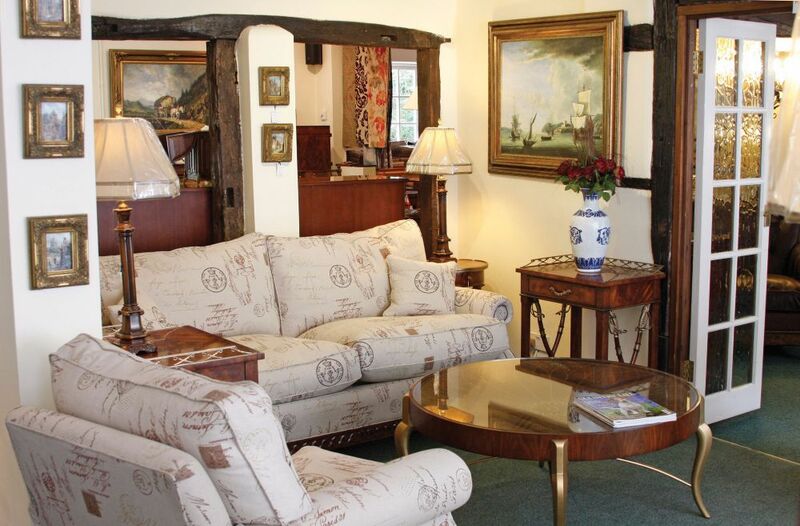 Nettlebed can be reached by car from London in around 50 minutes. 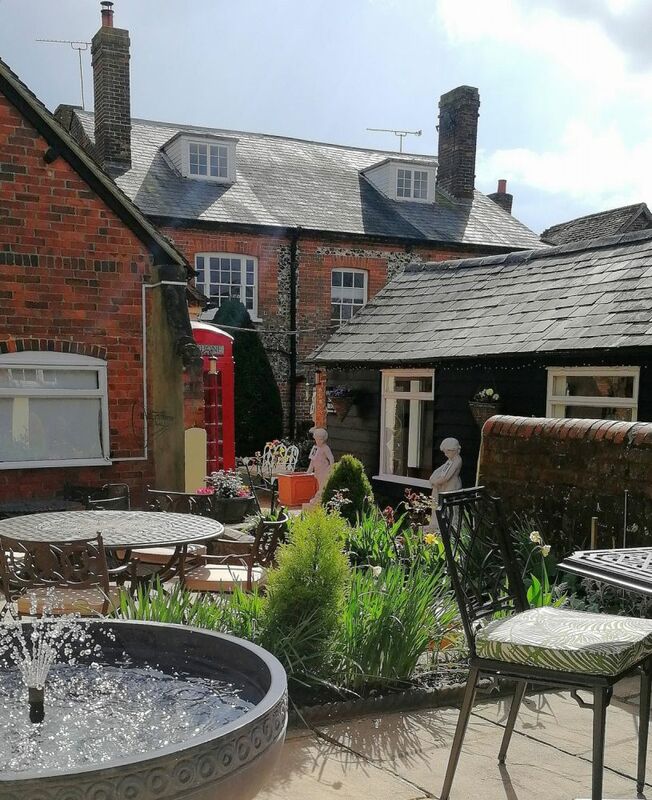 Alternatively, we can arrange private transport from Reading Station or central London. 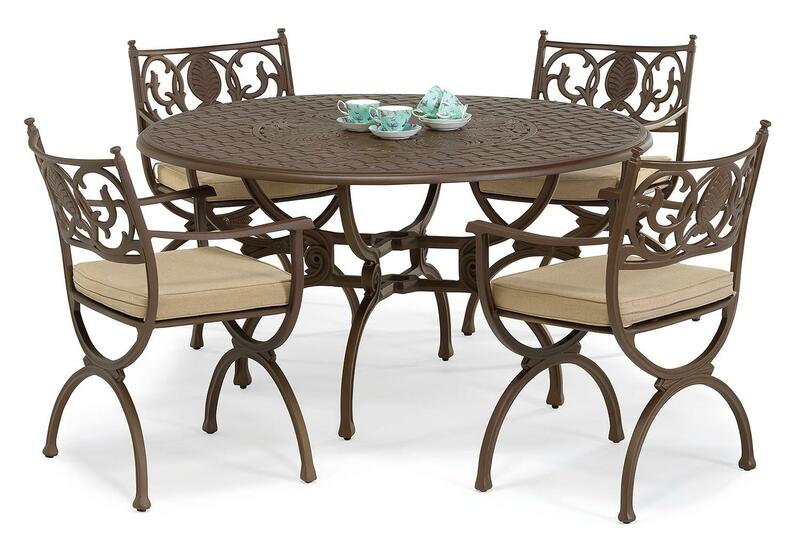 Artemis metal round dining table in Mocha finish plus 4 matching dining chairs with shower & UV resistant Sea Sand plain seat cushions. 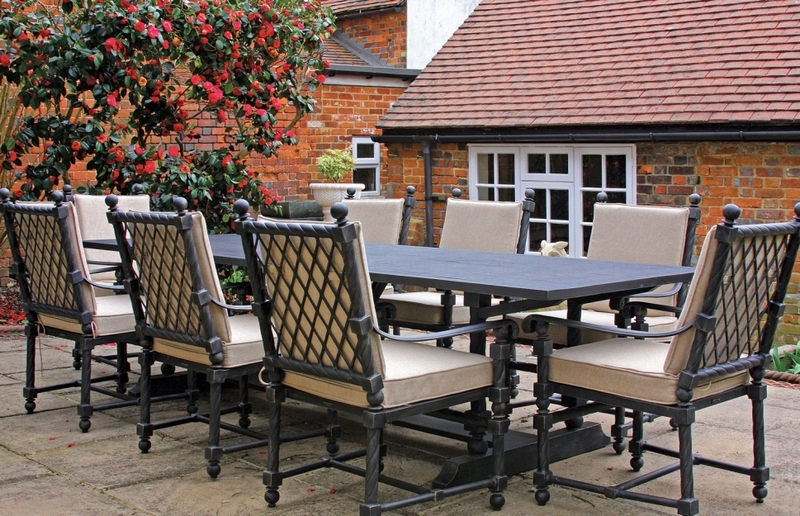 Available in alternative sizes, in 21 colours and special finishes.